In a fast paced world speed is key. Unfortunately, this has led to a situation where people have outpaced themselves and as a result the paradise that we can enjoy on earth, if we simply slow down, seems like an utopian idea. It is race with no end in sight and when we stop occasionally to ask ourselves where we are headed, we have no idea why we are where we are. Our life span won’t increase if we speed up, our dreams will still have bliss if one slows down but most of all we would enjoy and value our life we learn to live, rather than just exist, survive and decay. Don’t just look, #observe# – Look around and you see varied colors around. You see various facial expressions and body language of people around. You may notice the buzz and zip or an eerie silence depending on where you are. If you look carefully you may perhaps observe some finer aspects that would have skipped your attention; perhaps you will then notice that in a pack of cards there is one king with only one eye. Look carefully and perhaps you will observe the subtle differences in the different Jacks and Queens. Have you ever noticed the various silhouettes that you can contort using the shadow created when light is focused on an object like your hand/ fingers. Take various currency notes and observe some small varied geometrical shapes printed on the currency notes of different values. Along the highway of life you need to take time out to smell the flowers; but first you have to notice those flowers. Observe the blessings you have been showered with; family, friends, neighbors, colleagues, financial stability, good health and the list goes on. Don’t just swallow, taste – Ever felt your mouth watering when you smelt the aroma of food. Perhaps a similar feeling engulfed you when you see the pictures of various dishes displayed in advertisements and culinary magazines/ blogs. When it comes to part taking of the food, often we are quick to notice what is wrong, but rarely do we appreciate what is wonderful about the meal. At home, one major distraction when eating is the lure of TV and mobile phones which ensure we eat mechanically; eating fast, chewing less and swallowing it rather than relishing the taste and appreciating the effort that went into the meal. An essential ingredient of a great meal is intangible; it is a dash of love put in by the one preparing it. Next time, taste every morsel and experience the dash of love on your taste buds. Don’t just sleep, dream – Surely you can’t force yourself to dream. It is possible though to go to bed with some good thoughts, passionate ideas and blissful reflections. These will automatically turn into blissful sleep and wonderful dreams. There is also a different angle to the dimension of dreams. The biggest dreams are those that won’t let your sleep. Ask the wannabe next gen entrepreneurs. All their waking hours are spent on visualizing vividly and working diligently on their dreams. So what is keeping you awake at night; a nightmare or a dream? You can choose; just choose well. Don’t just think, feel – This reflects the difference between sympathy and empathy. It is easy to see the pain and anguish of another who is struggling to stay afloat in the tempest of life. It takes courage, daring and empathy to reach out and risk your sanity and life to stand by the one in pain. Doling out alms, making encouraging proclamations and paying lip sympathy is passé. Feeling for another enough, means to walk in his / her shoes and experience their pain. This requires a person to translate their understanding of the others pain into personal action whereby you stand alongside and share the burden of the other. An apt illustration is the story told of a small five year old girl who lost her best playmate and neighbor in an accident. A couple of days later, this young girl went to her neighbor’s house and came back after a while. On being asked by her mother, what she did in the neighbor’s house, she replied that her friend’s mother was weeping copiously and that she sat on her friend’s mother’s lap and joined her in weeping copiously. Don’t just exist, live – Am I living everyday with regret, complains suffering and pain in my heart? This would indicate that I am going through life merely because life has not yet abandoned me. If life hasn’t abandoned you why are you abandoning life? As long as you breathe, make every breath a sign of joy, happiness, bliss and ecstasy. It is your life; your thoughts; your feelings and your future. How about looking at life in wonderment of being alive; in the joy of the numerous blessings you are bestowed with; in contributing to the world around you the value of your worth be it through smiles, encouragement, empathy and liveliness. Existence is for the ventilator to provide; life is for you to live! Which is your favorite food that you miss the most when travelling? Is there someone who makes it better than the rest? Is it because you now realize there is a dash of love in it? So what dreams are there in your bucket list to be ticked off still? When and how are you planning to achieve it and tick it off your list? What was the last big risk you took that enabled you to realize your own strength? So you and I begin a New Year 2016 with a lot of hope, a bit of trepidation and tons of goodwill from many! What one needs to quickly realize though, is that it is MY life and only I can make it the best one I can. Ideally we hope this year will be a lot better than the one gone by. We ponder over our mistakes and regrets of the past, we mentally note down the yardstick of others that become our benchmark for success and we rush into life aiming to win; little realizing that we are competing only with ourselves and all we need to do is challenge ourselves to excel. Let us pause and ponder over a few life lessons to enable us to journey with a purpose, with joy in the heart, exuding the fragrance of our unique personality and contributing to creating a better world around us. Life is a journey not a destination – We subconsciously realize this because while we do have aspirations we rarely limit ourselves to merely realizing our aspirations. Once we attain what we aimed for we reset our aspirations higher. This is a good practice for it allows us to pace and realize our progress. Unfortunately, most times we are consciously chasing goals that are not pragmatically designed but developed with materialistic considerations in mind. We tend to believe that if we attain that destination happiness would be ours. Alas, in pursuit of those materialistic goals, we do not enjoy the joys of life, fail to appreciate the blessings we have and instead keep craving for more. The key to life is to make the most of what one has. There are no mistakes just chances we have taken – You cannot cross a chasm in two steps; so when we come to the chasms in daily life we have to either jump or turn back. At times we misjudge the width of the chasm other times we mistimed our jump or we overestimate our ability or we were unprepared to take that leap; in all the above cases we would have failed to clear the chasm. We would also fail we did not believe in ourselves and turned away. The times we have cleared the chasm and the times we deliberately and consciously refused to take the chance only to realize later that it was the best decision you made, are the only times one succeeds. In daily life the chasms are invisible, the skills sets required opaque, the decision making has to be quick and continuous and the results may not always equal your expectations. You just have to keep taking those chances for some of them could be the giant leap that can propel you to a different level. Make the most of the moment without wasting time on regrets – The worst mistake one can make is to go back in time and keep wallowing in the misery of the regrets we have, If only is a common enough refrain that suggests that things would have been different and life much better. We keep wondering about the possible outcome if the choices we made were different. A decision made a point in time can neither be reversed nor can the consequences be altered. Not doing anything is also a decision. The reality is that we cannot escape our responsibility nor stew in our regrets. What we can do and must do is make every moment count. Life is not a competition but a mere challenge – Your life is a challenge for you to cope with and not a competition with the next person around you. Each of us is blessed with unique talents, abilities and capabilities. What we need to do is be aware of our strengths and ensure we utilize it to the full. We fail because we do not run our race but pace ourselves using the others around us as pacemakers. If you are a sprinter and follow a marathon runner, you are bound to fail. Similarly if you a middle distance runner and use a sprinter as the your benchmark failure is certain. Success come only when you get up and keep running no matter what. It helps to plan well, pace yourself as per your abilities and push yourself to your limits. The challenge in life is to run your own unique race well. Make life fun as you get serious work done – Most people go through life as if on a life saving mission. Reality is that everyone has to earn his/ her living. So then why not make that living while enjoying it. True there are periods of stress and turbulence but they are far few and in between, Do we really make the best use of the rest of our time to ensure that we make our life fun, our living a joy and the world we live in a heaven on earth? Do we laugh enough, can we enjoy a relaxed environment, do we pause to smell the flowers, do we have time to stand and stare? Can I experience bliss every moment of my life? Each new dawn gives us another opportunity – So what are you going to do with the opportunity? Would you size it or squander it? Begin today, begin now by jotting down your goals for the year. Jot down all the things that you believe will make you happy. Outline the action you would take to overcome your weakness. Commit yourself to some unique experiences that you hope to have during the course of the year. List out 3-5 friends who you would surprise this year with a unique gift. Gift yourself an expensive gift this year (write down what you really want). There is so much more that I can do each day. A fund raiser in which you would participate and the amount of funds you plan to raise. Use it for Goal setting – Goal setting begins with thinking about the future, drawing up plans, reviewing the present and identifying milestones to ensure steady and focused progress. All this involves paying attention to one’s own inner voice, being pragmatic about the assumptions made, going beyond one’s comfort zone, taking giant leaps when required and making adjustments when required. Notice that at every stage you are focusing your attention on what you seek to attain and in the process you are channelizing your energies to fulfill those dreams. Use it to be creative – One problem that many of us encounter is boredom. The other is the sheer monotony of the daily grind. Then there are awkward situations, unexpected crisis and the occasional need to be wriggle out of a tight spot. What is common to all these is the need to be creative and come up with an out of the box idea. Rather than being overwhelmed by the occasion or being flummoxed by the situation pay attention to find a solution and you will be amazed at how you manage to direct all your energy into coming up with something different and unique that is possible, pragmatic and definitely worthwhile. Use it to overcome a challenge – There are many times, apart from those mentioned in the previous paragraph, when each of has to face a challenging situation, overcome a major problem we encounter or make a critical decision. While we may be armed with facts and figures, have a slew of alternatives to choose from and / or be given helpful tips, suggestions and advice when the moment of reckoning comes the individual has to make the choice. This is tough partly because of the criticality of the situation; partly because most alternatives look equally good or in some cases none of the alternatives seem effective. It is at these times that we have to keep focusing on the challenge on hand, direct our attention and channelize our energies to zooming in on the best solution under the circumstances. Use it to make a dream come true – We all have our share of dreams, hopes, aspirations and desires. Some of it we translate into goals to be achieved but many more remain in the realms of wistful thinking, painful pining and exotic day dreams. As long as we hold on to those thoughts there is a possibility we will yet work on attaining it. If you let it go then you can never hope to achieve it. Keeping it alive in the mind is nothing but paying attention, albeit casually. 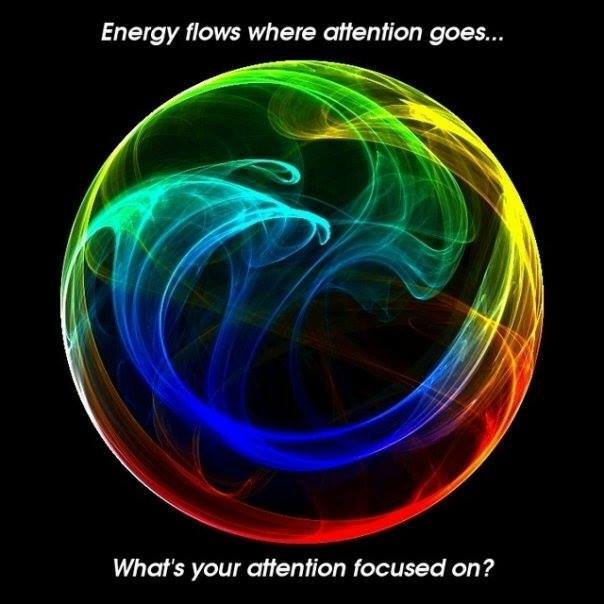 What you don’t consciously realize is that by letting it be within your attention span you are directing your energies towards it. Perhaps this explains the success of late bloomers who left an inedible mark be it an a Col. Sanders of the Kentucky Fried Chicken fame or Grandma Moses the painter or Gandhiji who spear headed the Dandi March in his 60’s and the Quit India movement in his 70’s. Use it to be a better individual – We are the sum total of all our physical self, our thoughts, our actions and reactions. If we pay attention to our physical self as also to those thoughts, actions and reactions that hamper our progress we would definitely find ways and means to change them for our betterment. If are overweight or sickly and became aware of it ( it happens only when we pay attention to it) we will find appropriate solutions to address the issue. Similarly, when we realize that we have a poor attitude that hampers our relationships or become aware of our tardiness or casualness that hampers our professional and personal progress we can find ways and means to overcome it. The key lies in realizing our limitations and recognizing our strengths which we can leverage. Realization comes only when we pay attention and then our energy can be directed for our personal betterment. Make your own version of Jal Tarang at home and attempt to get some harmonious musical notes without breaking the containers. Collect the following and find something unique / different/ which you had not observed in each of them. They say a clear conscience is the best pillow. If this be true, it is also the first step to ensure one has pleasant dreams and a rejuvenated self in the morning. Unfortunately most of us go to sleep with a lot of anxiety, remorse, anger and hurt partly because we believe life has been unfair and also because we have a lot of unfinished agenda that keeps nagging us at bedtime. Obviously when we plant the seeds of negativity and frustration in our mind, chances are that we will end up either up with disturbed sleep or wake up with a start on seeing a nightmare. Either way our sleep is ruined, our anxiety more acute and the new day heading up to an anticipated disaster. For many, Monday morning blues are a recurring weekly nightmare and that perhaps is typical of the magnitude of the problem. Yet with a little effort, a pinch of optimism and a large dose of fortitude one can ensure that each night brings us sound sleep, sweet dreams and ample opportunities every dawn. The trick lies in tweaking ones thoughts, words and deeds. Acknowledge achievement – Every night instead of focusing on all the pending tasks, the unfinished works and the irritating challenges you have to cope with, let your thoughts be on the success you achieved during the day, the tasks you managed to complete, the progress you have made on tough tasks, appreciations received, appreciations given to others, the tasks that have been delegated and completed well by others etc. When the focus is shifted to achievements, success, progress and satisfaction the mind is calm, you are at peace and you sow the seeds of positive possibilities to wake up to the next morning. Respect ones limitations – Our inability to say NO, our need to help others even at a cost to our self, our urge to commit way beyond our abilities and inability or refusal to accept that we have our limitations creates a disconnect within our self. Our mind is then filled with guilt, remorse, annoyance while our physical self is battling with stress, deadlines and self inflicted challenges. End of day we psyche ourselves into being bitter, stressed and deflated. On the other hand if we are willing to appreciate and accept our personal limitations, we would immediately refuse to take on responsibilities and challenges that are beyond our capabilities. For a brief moment we would feel guilty, inadequate and possibly worry about personal progress but in the long term we would be rid of anxiety, guilt and remorse. Our mind is now nurtured to grow the seeds of positive thoughts and success. Focus on possibilities – Everyone is swamped with tasks big and small. Yet we let our self doubts, fears and insecurities overwhelm us. Consequentially we let our minds stray and linger on what we fear we will fail in, instead of identifying the innumerable possibilities that we can succeed in. Learn to visualize problems and challenges as opportunities to progress. By identifying the numerous possibilities we are fertilizing our minds to produce dreams that one can turn into reality. Identify the goal – To channelize our energies and direct us to success, we need to narrow the possibilities into tangible goals that we must focus on. The goal is determined by our passionate interest, our determination to succeed and the price we are willing to pay to attain the goal. Goals could also be the culmination of numerous aligned possibilities e.g. eating right, exercising regularly, lifestyle changes are all possibilities that can be aligned to a larger goal of reducing weight or being more fit or overcoming an illness. The goal is the harvest that the mind expects to reap when the time is right. 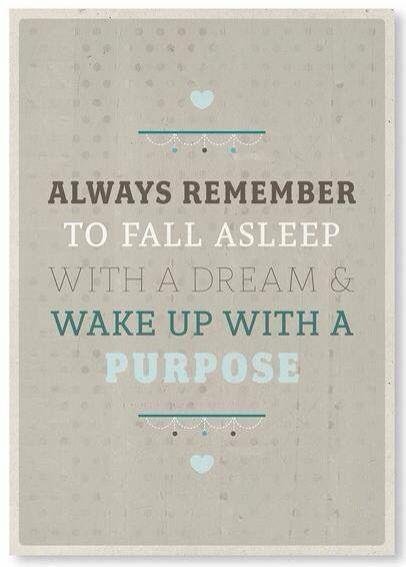 Pursue with purpose – The dreams often get shattered when we wake up and realize that we merely dreaming. However a self directed dream is the self starter that helps one to activate mind body and soul and channelize all energies to attaining our goals. The goal is now translated into a purpose to which we are drawn, to which we commit and that which makes each moment more meaningful, energetic and motivating. This is when we till the soil, plough into the thick of action and sweat it out because there is a purpose that draws out the best in us. Relish success – When we attain success we need to celebrate that success. This is equivalent to emptying the mind and setting our hearts free while soaking in the elation of success. We free up our resources to pursue new dreams, identify a new purpose and be enthused to chase our goals, our dreams and the success we crave for. Identify an NGO operating in the sphere of your passionate social objective. Join up them after determining how and in what manner you will contribute. Do you feel enthused once you join up. What will be your measure of success to determine how you have contributed to the cause. Identify 5 social problems that you view as urgently needing attention. Choose the one that in your estimation does not get enough attention or support. Identify innovative ways to pursue your passion to address the social problem, get more people aware and enthused.